This office is based out of the Municipal Building at 156 North Main Street. 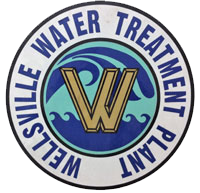 We handle all billing inquiries related to the electric, water, sewer, and solid waste services for the Village of Wellsville. All utility bills will be mailed by the 1st, and due on the 20th of the month. Your utility bill can be deducted automatically from your bank account. There is no charge for this service. The bill will be stamped and mailed for you to receive it in the beginning of the month. Then the total will be deducted on the 20th of the month, or the following business day.